Happy February! 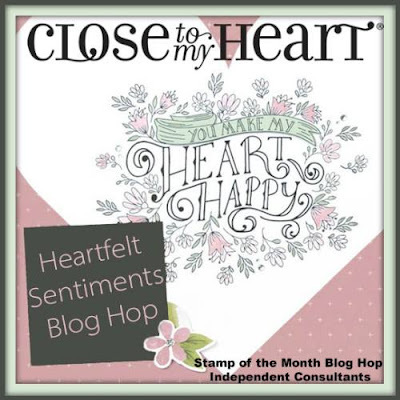 Thank you for joining us for this month's Stamp of the Month Blog Hop. 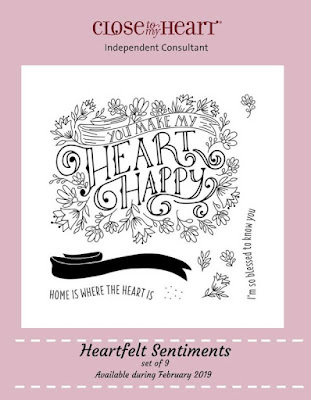 We have a beautiful stamp set to share with you and it happens to be the name of my team name, "Heartfelt Sentiments". How cool is that?! These beautiful images will create great artwork and you can get them for $5, when you place a qualifying order. Details about the Stamp of the Month special can be found on this area of my website. If you are coming from Wendy's Blog, you are on the right track. To find a complete list of Consultant participants, click here. For my card, I chose to incorporate some random-stamping of the small and separate floral and leaf images from the stamp set. You can see how I placed them on the block and rotated the images to create the design above. 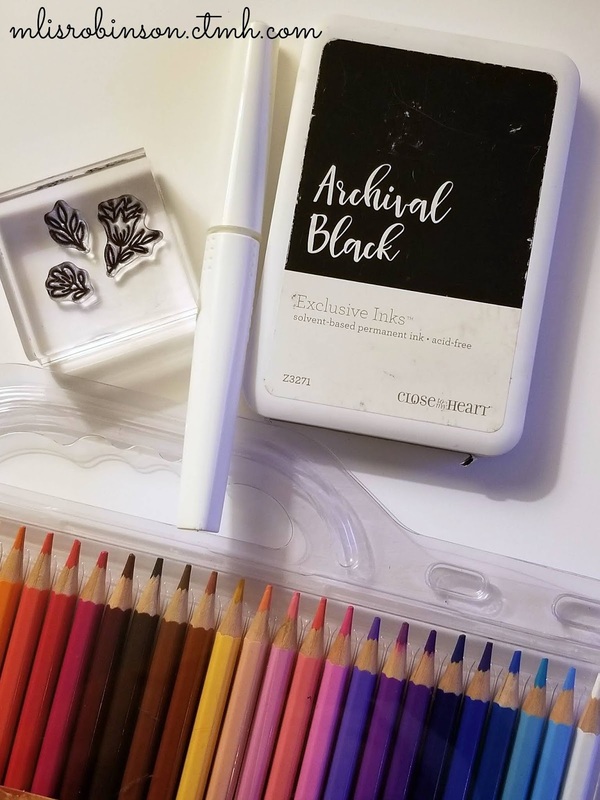 By using the Archival Black ink pad, I was able to color with our Watercolor Pencils and then used the Clear Shimmer Brush to add some sparkle (although difficult to see in the photo). 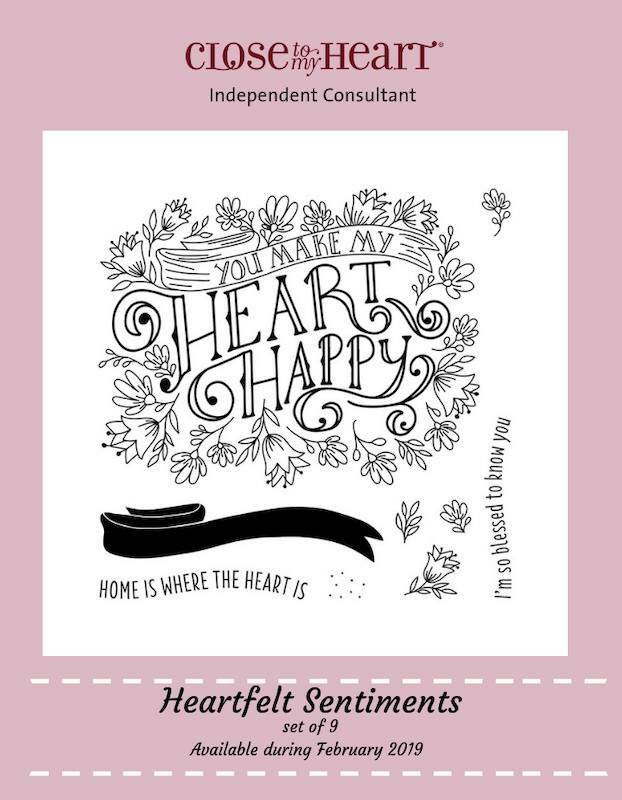 I am excited to see what creative ways the participants in our Blog Hop incorporated this stamp set and I hope you are too! Head on over to Cat's Blog to see what she has created. Thanks so much for stopping by! Wishing you all the best this month! Pretty card, I love the bright colors! Your random stamping and coloring look great! That background stamping is beautiful! Love your random stamped background, it looks fantastic! Stunning card! I love your stamped background and color choices. What fun stamping! So pretty! SAVE 35% When You Organize Your Creative Space!